Satin Wax Absolutely the finishing touch to a fine finish, WATCO Satin Finishing Wax provides a beautified, rich, soft satin luster to previously stained wood surfaces or to bare wood. 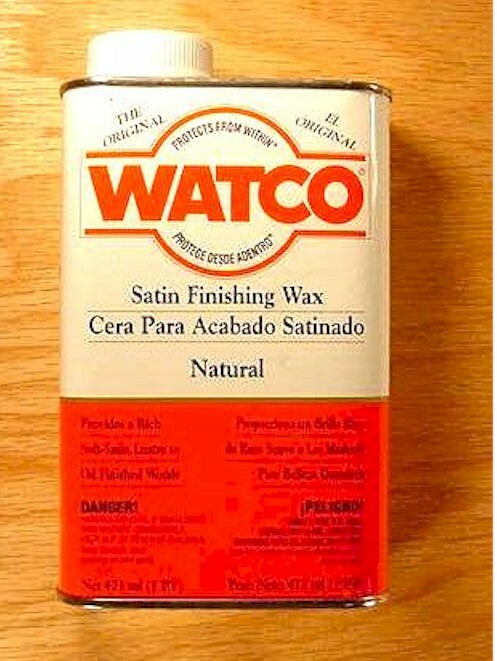 WATCO Satin Finishing Wax is specially formulated to complement WATCO Danish Oil Finish. You'll find it's easy to achieve a hand-rubbed wax appearance without the many hours and tedious labor of hand waxing.